Pius joined Watsi on March 30th, 2016. Three years ago, Pius became the 1864th member to automatically support a new Watsi patient every month. Since then, 3,222 more people have become monthly donors! Pius' most recent donation supported Mthesa, a man from Malawi, to fund prostate surgery. Pius has funded healthcare for 39 patients in 11 countries. Mthesa is a farmer with five children from Malawi. He enjoys playing board games in his free time, and he has a very caring and concerned family. 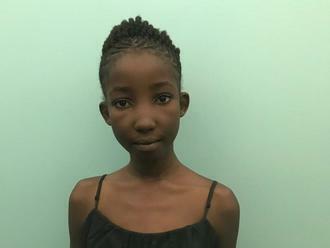 Since 2017, Mthesa has been experiencing pain and urinary difficulty. These symptoms are caused by an enlarged prostate, a condition called benign prostatic hyperplasia. He needs to undergo a prostate resection surgery, a procedure in which surgeons will remove part of the enlarged gland. Our medical partner, World Altering Medicine, is requesting $733 to fund Mthesa's surgery. On March 28, he will undergo prostate surgery at Nkhoma Hospital, our medical partner's care center. The requested money pays for supplies, medications, and two weeks of hospital stay. He is so happy to be helped through this surgery, and his family is relieved. They have supported him to go back and forth to different hospitals for years, and they have finally found the solution to his health problems. 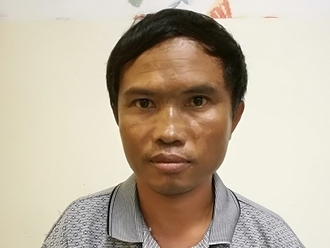 Hen is a motorcycle taxi driver from Cambodia. He has been married for eighteen years and has two sons. He likes to practice sports, go fishing, and watch the news. Ten months ago, Hen was in a motor vehicle accident that caused a fracture in his right leg. It is difficult for him to walk, and he is in chronic pain. Fortunately, surgeons at our medical partner, Children's Surgical Centre, can help. On December 11, Hen will undergo a fracture repair procedure, which will cost $430. This procedure will help him walk easily again. He says, "I hope my surgery is successful so I won't be in pain and I can return to work." Ruth is a jovial young girl. She the fifth in her family of six children. Her parents are casual laborers. They live in their ancestral land, with only a small space to practice subsistence farming. Ruth does not speak and perceives only very loud sounds. At our medical partner's care center, she was diagnosed with hearing loss. Ruth requires hearing aids that will allow her perceive sound with better clarity. 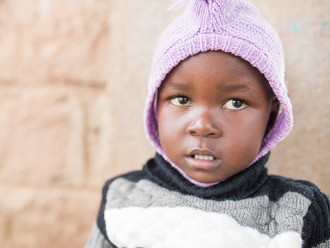 Ruth is scheduled to receive the aids on September 6, and her family needs help raising $929. Ruth’s mother says, “My wish is to have my daughter fitted with the hearing aids and lead a normal life." Naw December is a mother of eight children from Burma. She lives with her husband and eight children. Naw December and her husband are farmers. In November 2017, Naw December noticed that she could not sit due to pain in her stomach and back. She went to the nearest clinic, where the doctor examined her and prescribed medication. The medication did not help, and the pain continued to worsen. The doctor then suggested that she visit Mae Tao Clinic (MTC), our medical partner's care center. Once there, she was referred to Mae Sot Hospital (MSH) for an x-ray. She was diagnosed with gallstones. Naw December has been advised to undergo a cholecystectomy, the surgical removal of the gallbladder. If left untreated, Naw December's symptoms will continue to worsen and put her at risk for further health complications in the future. 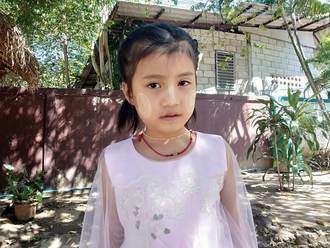 After seeking treatment through our medical partner, Burma Children Medical Fund (BCMF), Naw December is scheduled to undergo her cholecystectomy on August 28. BCMF is requesting $1,500 to cover the total cost of Naw December's procedure and care. Naw December says, "Now, I experience the abdominal pain and a dry throat, and am stressed because I do not have money to continue visiting hospitals. I hope to get better soon and help out on the farm." Andrew is a baby from Haiti. He lives with his mother and father in a small fishing village on the west coast of Haiti. Andrew has a cardiac condition called Tetralogy of Fallot. This condition involves several related defects, including a hole between two chambers of the heart, and a muscular blockage of one of the valves. These defects prevent oxygen from adequately circulating through his body. Andrew will fly to United States to receive treatment. On August 6, he will undergo cardiac surgery, during which surgeons will use a patch to close the hole in his heart and will remove the muscular blockage near his valve. Another organization, HeartGift Foundation, is contributing $18,000 to pay for surgery. Andrew's family also needs help to fund the costs of surgery prep. The $1,500 bill covers labs, medicines, and checkup and followup appointments. It also supports passport obtainment and the social workers from our medical partner, Haiti Cardiac Alliance, who will accompany Andrew's family overseas. His father says, "Our family is very grateful to everyone who is helping us travel for this surgery."